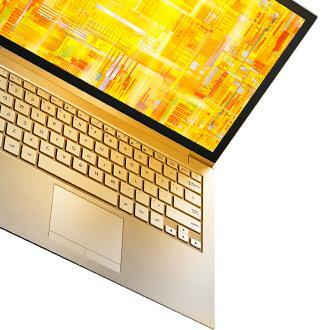 Week 6 of the Ultimate "Coder Ultrabook Challenge" is here, only two weeks left! After reading updates for a month and half now, I feel like I know all the contestants personally. Picking a winner will be like picking a favorite child. Let'e begin with Lee Bamber's 'Love Hearts' application. I'm really happy to see Lee start taking advantage of video to show off his application. In the latest installment, Lee shows off a really innovative feature he's dubbing 'NFC Kiss.' By tapping an NFC capable device tot he Ultrabook, the user is rewarded with additional in-app credits. Utilizing NFC is really relativity new to the consumer market as devices are just beginning to take advantage of it, and its utility is still being discovered. It's always exciting to see new ways for it to be implemented. Nice work. Lee has also implemented photo importing and the ability to use the in-display camera to snap pictures, manipulate them via multi-touch and add small graphic overlays. It's still surprising to me to use a touch screen on a traditional laptop design. Pretty fun! Speaking of innovative new uses for NFC, the "Blue Innovations Team" has been implementing it into their MoneyBag app. "When we designed MoneyBag we wanted to enable users to enter transactions on the go and started realizing that vision last week using NFC. The user can enter transaction data on the go in his NFC enabled mobile device (eg : starbucks = 5 , lunch = 10) in a simple text format. At the end of the day once the user is near his Ultrabook he can just transfer the transactions to the app running on the Ultrabook by just bringing it in the vicinity. All the transactions will be imported from the mobile device to the app in the Ultrabook and then it is a breeze to categorize them and view reports and summary." This is really incredible to see. We have out smartphones with us all the time, why not use them to record our transactions, and import them to the app all at once, instead of one at a time? We are getting dangerously close to seeing all the final apps, and I couldn't be more excited. Raise your glass developers, you've earned a cheers!